But first, I’m so excited to share that we made the final purchases for our kitchen! Seriously, it’s the best feeling ever. We’d been saving for awhile for a dishwasher and sink and finally made it happen this week. So, yay! Both are set to be delivered within the next 10 days, which means the official kitchen reveal should be the first week of October! I realize that it’s been forever since I’ve shared progress on the kitchen, so here’s an image I posted on IG. It’s looking more finished, right?! I don’t think this will be how the shelving will look when we do the reveal, but it’s a cute look. Luke thinks it’s a bit cluttered. 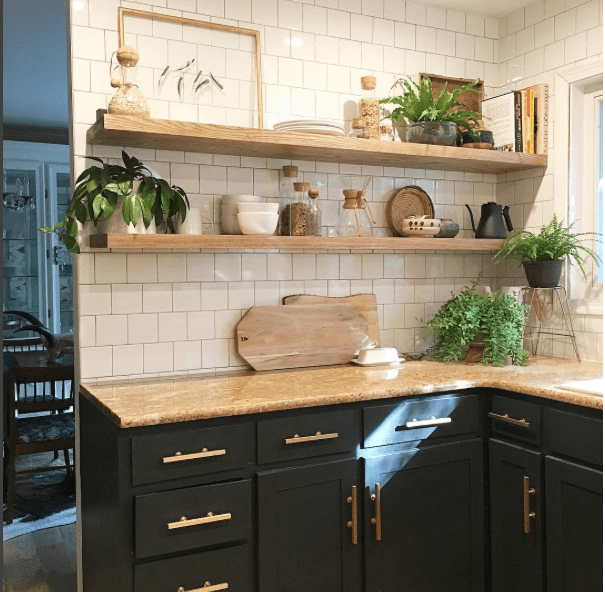 Since I’ve had all things kitchen on the brain, I wanted to share a few things for the kitchen that I’m loving. Can you tell we like all things Mexican over here? The taco cookbook and that guacamole bowl go hand in hand. I’d even go as far as to say, I’d take this amazing shirt as well. I’d be rocking the whole theme then!